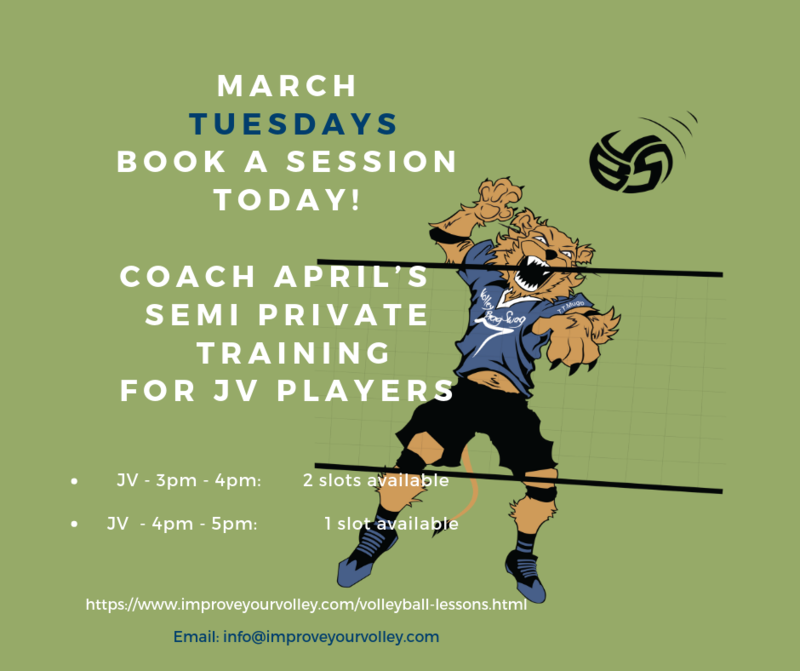 Semi Private Volleyball Training Lessons with Coach April in March. Book Your Sessions Today! 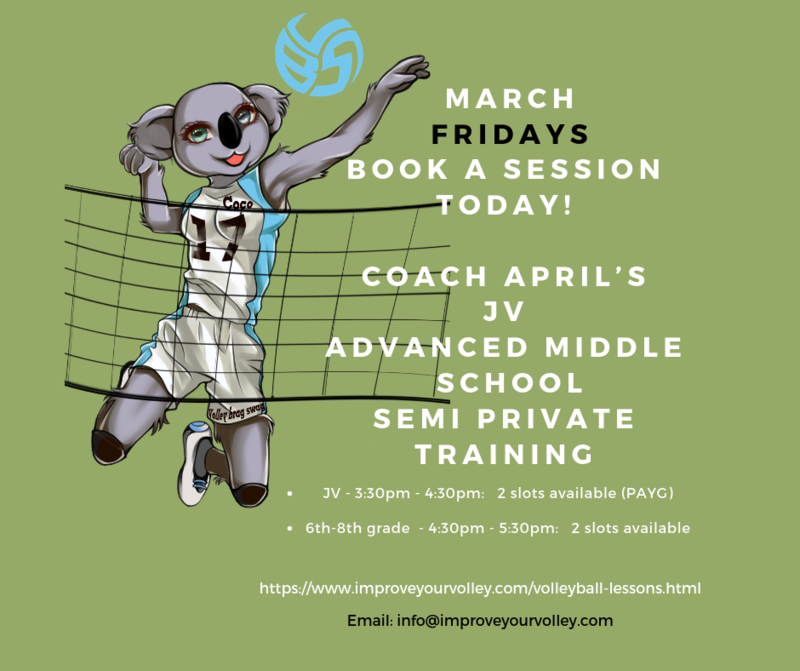 Registration is open for semi-private and private volleyball lessons with Coach April here in Las Vegas. Coach April offers semi private and private training for Intermediate and advanced/varsity/collegiate level players. 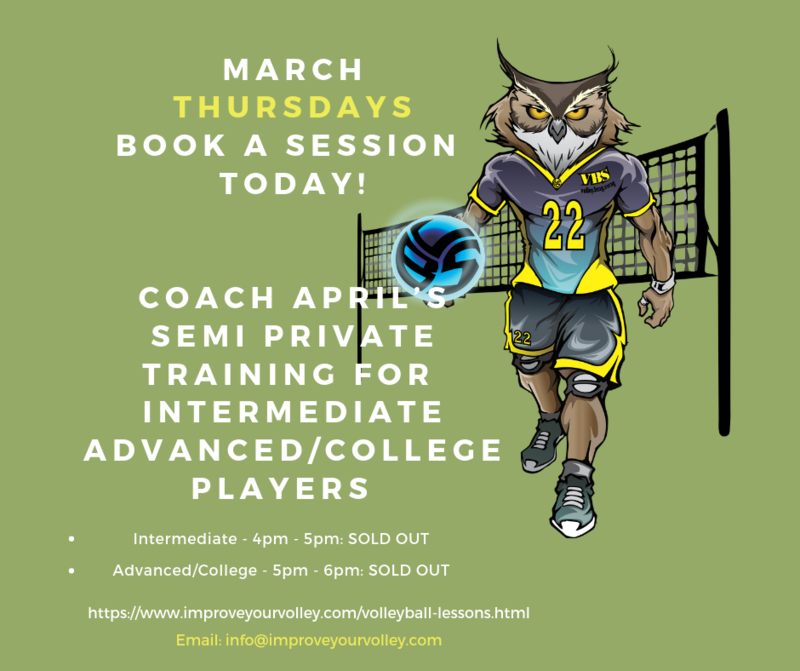 Email us at info@improveourvolley.com if you have questions. 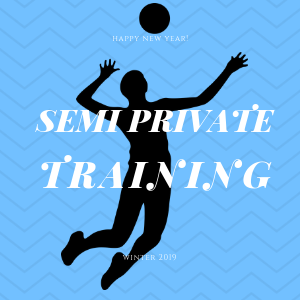 Private or semiprivate volleyball lessons are an excellent way for young Las Vegas high school volleyball players to quickly improve their individual skills through a private or semi-private coaching experience. 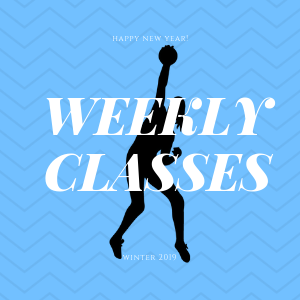 These lessons are conducted by former pro volleyball player and USA Volleyball High Performance instructor April Chapple on a weekly basis. 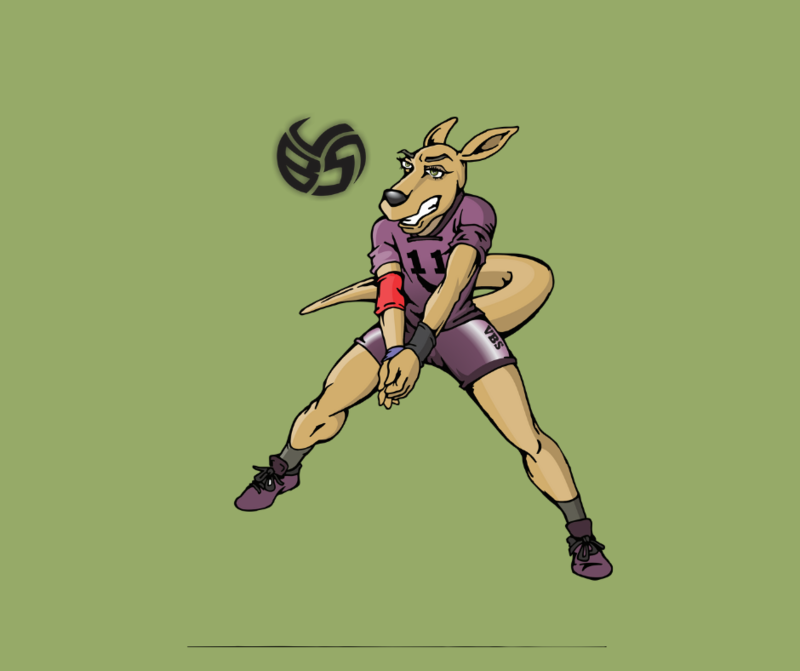 Volleyball is composed of six individual skills. When a player has a problem, we break down the skill into its multiple upper and lower body performing parts. Then we focus on building, strengthening or correcting the body parts that perform specific aspects of the specific skill. That's why we are successful. to each particular body part that has to perform that skill. identify weaknesses, then strengthen them. My Mission for Semi-private and privately trained clients. c) who have specific goals such as making the starter roster, training at a higher intensity level to prep for college training, training to stay in shape to return to a collegiate team during the summer, training for a Junior National or USA High Performance team. b) has two years of travel club ball experience and who are already familiar with the six basic skills of volleyball. e) This is an ideal learning environment for players with goals to make their high school varsity team or competitive 16s club travel team. For players age 13 - 16. This class is for the Intermediate skill level young player who can perform 5 out of 6 skills consistently. Consistently means you have good technique and can keep the ball in play for 5 or more reps minimum. For ages 13 - 16. 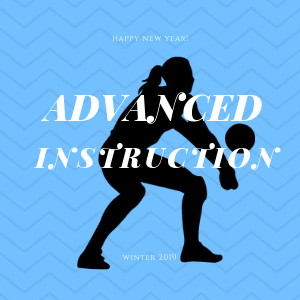 Click to learn more about the weekly advanced volleyball instructio by Coach April Chapple. Beginner I, Beginner II, Beginner III Classes Added!